An optional experiental day is organised by GE Healthcare on September 17 from 13:00 – 17:00. Please write an e-Mail to fschilling@tum.de if you interested in attending. The course will take place at the “Klinikum Rechts der Isar”. Further information will follow. Please note that the Oktoberfest will take place in Munich from September 21 to October 6. Please book your room as soon as the course has been officialy confirmed! Imaging of hyperpolarised substances is an emerging field with widespread applications, such as detecting metabolism via 13C labelled compounds or lung function via 129Xe gas. It differs from traditional thermally polarised MRI mainly by time and sensitivity considerations, as the hyperpolarised state is non-recoverably disappearing with T1 relaxation and excitation of magnetisation. 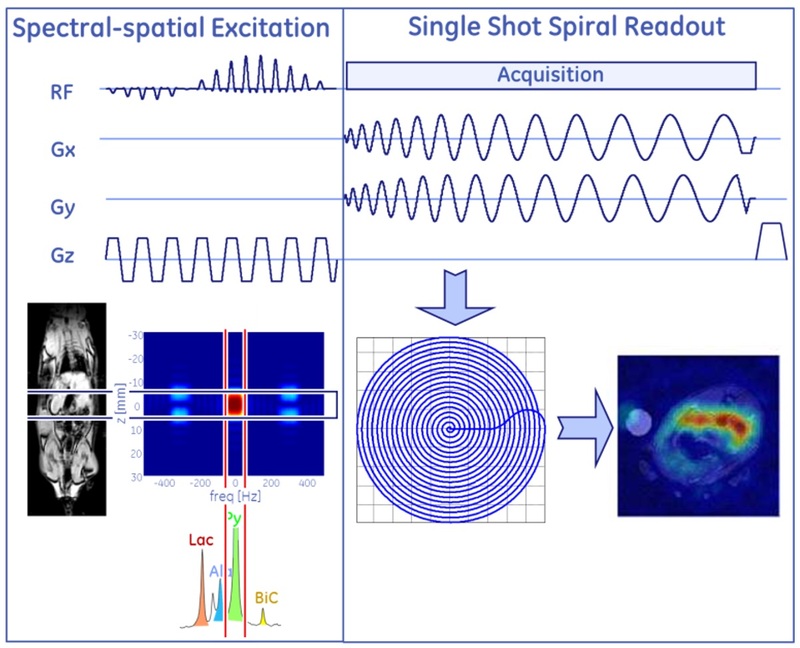 Goal of the course is to familiarise the participants with these special constraints for imaging and teach MRI methods for imaging, reconstruction and quantification of hyperpolarised spins. Furthermore, introductions are given into the basic X-nuclei MRI hardware, hyperpolarisation methods, underlying biology and other relevant aspects in this context. The course is aimed at post-graduate and post-doctoral MR scientists interested in learning about acquisition strategies for NMR and MRI of hyperpolarised spin systems. A solid background in MR physics and imaging is assumed. It is not a requirement to have experience with hyperpolarisation or imaging of hyperpolarised spin systems. The course moves quickly from introductory to advanced methods over the three-day course. Pre reading material will be provided to allow students to familiarise themselves with the course curriculum. Amble time will be provided to ask questions and discuss with the faculty. Some previous exposure to MATLAB is preferable, but not mandatory. Hyperpolarisation has opened up new applications of NMR and MRI. Acquisition strategies for hyperpolarised substances differ substantially from those suitable for thermally polarised samples due to the non-recoverable magnetisation. The aim of this three-day course is to provide the participants knowledge of experimental and theoretical aspects of polarisation, magnetisation use, pulse sequence design and RF hardware for in vivo hyperpolarised MR. Different imaging strategies will be presented with emphasis on the special requirements and adaptations needed for hyperpolarisation studies. The use of specialised RF pulses will be covered as well as possibilities for accelerated acquisitions by means of parallel imaging and compressed sensing. Quantification and modelling of data are important aspects of hyperpolarisation studies and specialised methods will be described as the last part of the course. An integrated part of the course will be theoretical exercises where the participant will work in more depth and gain hands-on experience on the topics covered in the lectures. Practical MATLAB tutorial exercises will be provided. For those who do not have MATLAB we will provide computers and software licenses for the duration of the course. The students will be able to work through example code provided for them. These examples will demonstrate and enhance their understanding of the concepts discussed throughout the course. At the end of the course they will be free to take this code away with them.